How healthy are your pet's teeth and gums? Pet dental care can be an easy thing to overlook, especially compared to acute injuries, pest infestations and other more dramatic veterinary issues. But the truth is that pet dentistry can make a huge difference in your pet's overall health and quality of life. Routine dental evaluations and cleanings at Herndon Animal Medical Center can prevent dangerous infections from settling in while also allowing us to check for any oral conditions that might require immediate treatment. 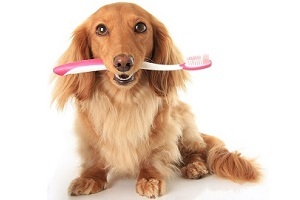 That's why our vet clinic offers comprehensive pet dental care services. Nothing beats preventative care for effective cat and dog dentistry. Our veterinarian, Kristan Gutowski, generally recommends annual dental checkups and cleanings, which means you can easily schedule them as part of a larger preventative wellness exam. If your pet has serious dental issues, however, we may want to see him twice a year so we can monitor the progress of our treatment. Senior pets may also require extra dental attention, since some tooth and gum problems worsen with age. But even young animals should receive the appropriate dental care, starting around 1 year of age, to make sure any issues are nipped in the bud. Periodontal (gum) disease is the most prevalent dental problem among pets -- in fact, as many as 80 percent of them have some degree of periodontal disease by the time they reach the age of 3. Periodontal disease begins when bacteria feed on tartar, a rough, hard substance made of old plaque. The bacteria eventually invade the tooth enamel, causing cavities and tooth infections, as well as creating painful gum infections and jawbone abscesses that lead to tooth loss. Worst of all, the bacteria may enter your pet's bloodstream and invade the vital organs, including the heart. Oral cancer is another problem that can plague animals. This deadly cancer may be hard to notice until it has reached an advanced stage. This alone would be sufficient reason to schedule regular pet dentistry at our clinic. We can detect oral cancer during its early stages and, if necessary, begin immediate treatment to stop it. Regular dental cleanings can strip away the tartar that attracts bacteria and promotes gum disease. Our veterinarian performs this procedure under general anesthesia so your pet will remain calm and still for it. If a gum infection or other problem has already developed, will advise you on the available treatment options, including tooth extraction and antibiotics, to minimize the damage and restore your pet to health. We can also recommend home hygiene practices such the use of tartar-control foods, safe chew toys, and how to brush your pet's teeth. 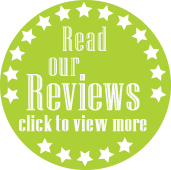 Skilled pet dentistry at the hands of Kristan Gutowski is one of the greatest gifts of health you can give your beloved friend. Contact Herndon Animal Medical Center to schedule a pet dental care evaluation and cleaning -- and let us help ensure a happy, healthy future for your pet!